Killswitch Engage are a metalcore band that were formed in 1999 in Westfield, Massachusetts, USA. 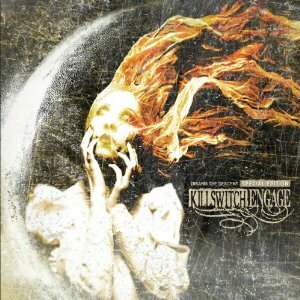 Including Disarm The Descent Killswitch Engage have 6 studio albums. As you may know Howard Jones is no longer the vocalist for this band because of health issues, including type 2 diabetes. Howard left a post on Killswitch Engage’s Facebook page just after he left the band openly talking about why he had to depart. Obviously after Howard Left Killswitch had to find a new vocalist. The bands search for a new vocalist concluded at the end of February 2012 with the announcement of original vocalist Jesse Leach. “Well, I guess I will shed a little light without going too deep. As some of you may know, I’ve had a pretty interesting couple of years to say the least battling with some personal issues. One of the low points being diagnosed with type 2 diabetes that went unchecked for years. The rest of the band stuck with me through it, and to be honest they are the ones that kept me going. The whole experience definitely put a scare in me” – Howard Jones’ departure post on Facebook. Disarm the Descent contains the use of powerful vocals both clean and unclean that really catch attention. The Guitar harmonies are the best that Killswitch Engage have even produced. I also think that the Special Edition version of the album is worth getting for the two added bonus songs ‘Blood Stains‘ and ‘Slave To The Machine‘ and the two live songs ‘Numbered days’ and ‘My Curse’ if you are going to purchase this album. Despite the good points I also think it is fair to mention the bad. My personal rating of this album would be 5/10. The first thing that I thought when I played this album was that it didn’t sound like the Killswitch Engage that I love. The lyrics in some songs aren’t that good at all. I hate to say this because Killswitch Engage are one of my favorite bands but Disarm the Descent doesn’t compare to the other Killswitch Engage albums. This entry was posted in Album Review and tagged Album Review, Disarm The Descent, Howard Jones, Jesse Leach, Killswitch Engage, KSE, Special Edition. Bookmark the permalink.